With the new season kicking off recently, familiar predictions and knee jerk reactions are coming through. While Champions and relegation places are predictions made by most, here, Tom Robinson looks into the crystal ball to pick the breakout players of the 2015-16 season. One of the most appealing aspects of watching Argentinian football is the opportunity to witness the constant stream of talented youngsters making their early forays into first team football. 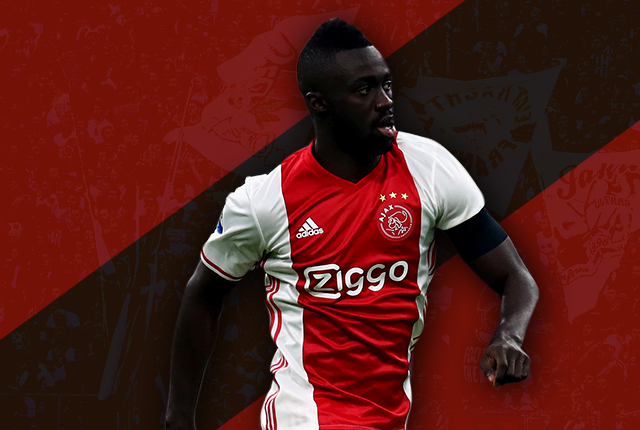 As the brightest and best are snapped up by European clubs at an increasingly early age, the next ‘crack’ can be catapulted out of obscurity and into the deep end at a moment’s notice. Inevitably many fall by the way side, but some make a lasting impression before continuing their career abroad. For the purposes of this list, the domestically-based players are all currently aged 21 or below and as such the likes of Matias Kranevitter, Oscar Romero, Eder Alvarez Balanta and Nicolas Tagliafico are not included. While some of the players below may already be deemed to have ‘broken through’ in the strictest tense of the term, most are far from regulars for their clubs yet and all face a pivotal twelve months in their development. Despite having made his debut at the tail end of 2011, attacking midfielder Benitez has finally begun to show his promise this season. Under new manager Mauricio Pellegrino, he has flourished after being moved to a number 10 role, scoring five times in as many games. Equally capable of operating on the flanks due to his pace and trickery, Benitez is versatile but seems to have found his home as a goalscoring threat in the hole behind the strikers. Still only 21, he will be a key player if Independiente are going to kick on and challenge for the title, especially if as expected Federico Mancuello moves to Europe. One of the better known names on the list, thanks in no small part to the incredible rabona chip he scored versus Quilmes, Boca striker Jonathan Calleri is already well on his way to consolidating a starting position in the Xeneize line up. After his move from All Boys last summer, the powerful forward made impressive initial strides with eight goals in the second half of 2014. This year the 21-year-old has notched up a further 12 goals and 6 assists in 27 appearances across all competitions as he vies to become Boca’s number 9. A powerful player with strong aerial prowess, Calleri is not just your average target man though as he possesses enough speed and technique to operate wide if necessary. Admittedly he is still raw and could be more clinical but his efforts against Quilmes and Temperley show a touch of class which has reportedly interested Arsenal and Brighton. Now he has the chance to profit from playing alongside Carlos Tevez which should boost his numbers further and establish his reputation as one of the best prospects still in Argentina. After some promising displays in the B Nacional over the last couple of years, 20-year-old Cristian Espinoza now seems on the cusp of becoming one of the hottest talents in the Primera following Huracan’s long awaited return to the top tier. Playing as a right winger or wide forward, Espinoza is a constant threat with his acceleration and crossing ability, always stretching the play and looking to get in behind defences. One of the most dangerous outlets for the Argentina U20s this year, his performances attracted the attention of Villarreal but he remains in Parque Patricios for the time being. He could probably add more goals to his game but his brace against Crucero del Norte and hat-trick against Tigre are hopefully a sign of things to come. Ever since the young River defender followed in Javier Mascherano’s footsteps by being capped by Argentina before making his league debut, there have been high hopes for Emanuel Mammana. Having first impressed as a classy, composed centre back for the U17 side in 2013, Mammana has now begun to get some game time in Marcelo Gallardo’s all conquering Millonarios that won back-to-back Copa Sudamericana and Copa Libertadores titles. Equally comfortable at right back or centre back, the ball-playing 19-year-old has found his path blocked by the impressive form of Gabriel Mercado, Jonathan Maidana and Ramiro Funes Mori but continued to star for the Albiceleste, winning the U20 Sudamericano early this year. With the departure of Funes Mori to Everton, there should be a chance for a bigger role at River and Atletico Madrid remain extremely keen on bringing him to the Vicente Calderon at some point next year. The most impressive young Argentinian defender coming through at the moment, this should be Mammana’s year to properly break through. Franco Cervi is one of those players that you immediately fall in love with. A pint-sized playmaker with a low centre of gravity, a penchant for mesmerizing dribbling and an array of tricks and flicks that have left many defenders red-faced, Cervi seemed to emerge from nowhere to become the most exciting young player in the Primera over the last six months. Cervi has shown that he also has end product, having scored five times and assisted four in the 22 league games he has played this season. Comparisons to fellow Rosario native Lionel Messi are inevitable but perhaps the likes of Diego Buonanotte or Maxi Moralez are better reference points. Clubs from abroad are already circling and the next twelve months should confirm whether the early promise is worth all the hype. No relation to that Tevez, the 19-year-old wide forward is one of an impressive crop of youngsters emerging at Newell’s. Quite fittingly Tevez marked his debut for la Lepra last year with a goal at the Bombonera against Boca and ever since has been around the first team squad but has yet to truly become a regular starter. His directness, burst of acceleration and devilish crossing ability make him a real handful for opposition full backs and should make the departure of Ezequiel Ponce to Roma at the end of the year less painful. As well as Tevez, other players worth monitoring at Newell’s are young midfielders Damian Mancini and Denis Rodriguez, cousin of Maxi, who are getting more game time under new manager Lucas Bernardi. It’s very rare for goalkeepers to break through before the age of 21 but when they do you know that it’s worth sitting up and taking notice. Probably the most exciting prospect is River’s Augusto Batalla, who recently turned down the opportunity to join Real Madrid, but currently finds himself behind both Marcelo Barovero and Julio Chiarini in the pecking order and is unlikely to see much game time for another year or two. However, at San Lorenzo there is an interesting battle developing for the number one jersey. Sebastian Torrico, now 35, remains first choice but there will soon be time to look for a replacement and new signing Alvaro Montero could be that man. The imposing Colombian U20 international was a stand-out at the Sudamericano and displayed his excellent reflexes on numerous occasions. It seems like a straight shoot-out between Montero and fellow 20-year-old Jose Devecchi, back up to Batalla for the Argentina U20s, for a place on the Ciclon bench but Montero would seem the best long term option to succeed Torrico and could get his chance to stake a claim this year. Velez, such a prodigious producer of young talent, are currently going through a process of cost cutting and rebuilding and have put their faith in youth during this transitory period. Results have not been great but there are some promising signs, not least in the emergence of midfielder Agustin Doffo. The 20-year-old playmaker has only played a handful of games but his ability to find space in between the lines, beat his man and drive at defences has caught the eye. Although very left footed and still lacking end product, Doffo has nevertheless laid on two assists but has yet to hit the back of the net for el Fortin. Along with the likes of Yamil Asad, pacey Nicolas Delgadillo, U20 international Lucio Compagnucci and strike prospect Maxi Romero, there are plenty of reasons for Velez fans to hope that a better future is just around the corner. Given the dearth of defensive prospects coming through the ranks, Colon’s right back Pablo Cuevas is one of the few reasons to be hopeful. Belgrano’s Renzo Saravia looks to be one of the best young full backs in the league but at 22, like Tagliafico, is too old to be considered for this list. Cuevas is a defender who loves to get forward, always looking to overlap and provide extra width, and it’s not surprising to see him trying his luck around the area. Good with the ball at his feet but occasionally rash in the challenge, Cuevas is slowly consolidating the right back position at Colon and has started 12 games this season. An honourable mention to Gimnasia’s Ezequiel Bonifacio who is another young right back that has impressed during Lucas Licht’s absence and is worth keeping tabs on. On his second loan spell at el Lobo, San Lorenzo striker Rodrigo Contreras is earning himself something of a reputation as a super-sub. The 19-year-old from Tucuman has scored three times from nine appearances off the bench and is pushing for a bigger role in Pedro Troglio’s side. The winner against Velez and the first in a 4-2 comeback versus Argentinos, Contreras’ strikes have been important too and have no doubt alerted the attention of his parent club. Competition will be high back at San Lorenzo with the likes of Villalba, Cauteruccio, Blandi and Matos so this loan opportunity will give fox-in-the-box Contreras the chance to get valuable game time and develop. Other players capable of breaking through at San Lorenzo include new signing Ezequiel Avila and U17 sensation Tomas Conechny. 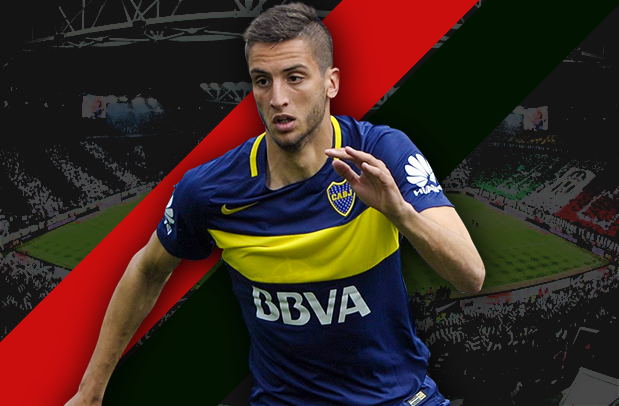 Along with the aforementioned Calleri, there are a number of exciting players breaking through at Boca at the moment. Defensive midfielder Adrian Cubas impressed last year and is an outstanding talent while forward Cristian Pavon and midfielder Franco Cristaldo, both 19, have shown flashes of promise. However, it seems that 18-year-old Uruguayan playmaker Rodrigo Bentancur is closest to become a regular feature in the Boca line up. The tall, elegant, multifunctional midfielder has made ten league appearances and is highly regarded by those within the club. Indeed, none other than Juan Roman Riquelme named him as one of his favourite prospects and as part of the Tevez deal Juventus have a first option on him. Bentancur certainly could make a big impression this year. On loan from River, Simeone has inevitably already received plenty of attention due to his famous father. Despite finishing as top scorer in the U20 Sudamericano with 9 goals in 9 games earlier this year, doubts persisted about Gio’s true quality and many – myself included – attributed his haul to the excellent service of Correa and co. At club level, Simeone found himself falling down the pecking order behind Lucas Alario, Sebastian Driussi and Lucas Boye but his loan move to Banfield has given him a new lease of life. Now, with five goals in seven games, the 20-year-old striker has made critics eat their words and, with the promise of regular first team football, Gio has the opportunity to prove he is not just a one-dimensional poacher. Don’t write him off just yet.